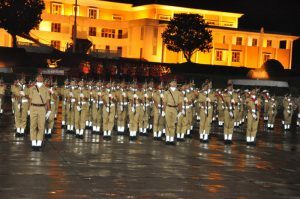 Pakistan Army has announced 31st Technical Cadet Course (TCC) 2019. Every year TCC is announced by Pakistan Army in which only Male candidates can apply. The registration has been started 25th Feb to 22rd March 2019(Including Saturday/Sunday) Preliminary Test 27 Mar – 19 Apr 2019 (Except Saturday / Sunday Closed Holidays). Every year thousands of students apply for test in order to fulfill their dream but very few are able to pass because of difficulty. Pakprep.com can help you to prepare yourself for this test. Pakprep.com contains over 15000 solved quality MCQ’s along with their explanation, past paper, MOCK test and smart analytics. If you want to start your preparation today please CLICK HERE. This entry was posted in Pakistan Army and tagged 31 TCC course, 31 TCC course registration, 31 TCC course test preparation, tcc, TCC 2019, TCC Academic Test, TCC Academic Test Preparation, TCC Chemistry MCQ's, TCC explained MCQ's, TCC Intelligence Test, TCC Intelligence test preparation, TCC Maths MCQ's, TCC past papers, TCC Physics MCQ's, TCC Registration, TCC Registration 2019, TCC Test 2019, TCC test pattern, TCC test preparation on March 12, 2019 by Pakprep.com Admin.